Where can you find the best unroasted coffee beans online? Buy our Premium Green Coffee Beans here. 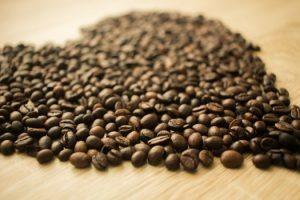 What are green coffee beans? Do they make green coffee? Glad you asked. Here’s a quick review for your Home Coffee Roasting edification! Just as apples are red and oranges are orange, coffee beans are green when they are removed from the fruit of the tree. It is the roasting process that changes them from green beans to the various shades of brown you find in store-bought coffee. The shade of brown depends on your roast preference. Arabica Coffee – these trees produce a smaller crop of beans, but also produce a bean that provides a more distinctive and nuanced aroma and taste. All of our premium coffees come from Arabica trees. Robusta Coffee – these coffee trees are heartier and more prolific tree so each tree provides a good deal more harvest of beans. So the cost of planting, maintaining, and harvesting these beans are less than with Arabica coffees. While these coffees can have a robust caffeine concentration, most coffee afficianados find it has a flat taste, not much character. So most of your store-bought roasted coffee is Robusta with perhaps a blending of Arabica for added taste and aroma. * Sometimes we discover what is an excellent coffee but is from a region whose crop characteristics make it impossible to meet the grade 1 standard, i.e. it may contain a higher number of broken beans, etc. So we’ll carry that coffee bean because it is a good bargain for its taste and aroma. The Yemen Moka Matari is such a coffee. – What are the Taste Characteristics of Good Coffee? How do we at Burman Coffee Traders evaluate coffee beans from the variety of coffee growers across the world? What are the characteristics we use to judge and how do we ensure there is a variety of selections to accommodate different individual taste and aroma preferences? What to look for when deciding what sort of beans to purchase for home coffee roasting? If you like dark roasts, are some varieties of green coffee beans better than others? How should you store your roasted beans immediately after roasting? Learn more here. One of the many advantages of home coffee roasting is, that green coffee beans will keep their quality for a year or more. Thus, when you find a particular coffee variety that you especially like, you can order a larger quantity and keep it for weeks or months, yet always be able to produce a fresh roasted coffee for any occasion. We offer the best quality and price on coffee beans for home coffee roasting. 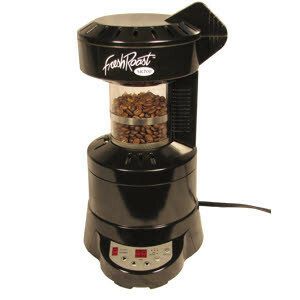 The FreshRoast SR500 is our most popular home coffee roaster.